In the last decade a new wave of urban research has emerged, putting comparative perspectives back on the urban studies agenda. However, this research is frequently based on similar case studies on a few selected cities in America and Europe and all too often focus on the abstract city level with marginal attention given to particular local contexts. Moving away from loosely defined urban theories and contexts, this book argues it is time to start learning from and compare across different ‘contested cities’. It questions the long-standing Euro-centric academic knowledge production that is prevalent in urban studies and planning research. 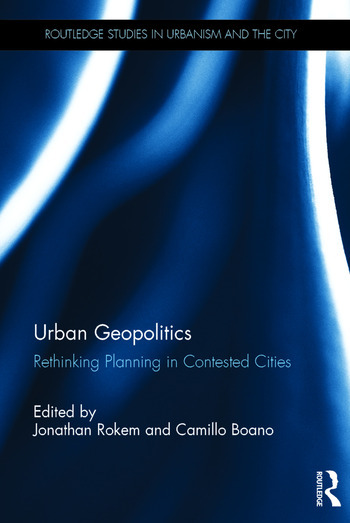 This book brings together a diverse range of international case studies from Latin America, South and South East Asia, Eastern Europe, Africa and the Middle East to offer an in-depth understanding of the worldwide contested nature of cities in a wide range of local contexts. It suggests an urban ontology that moves beyond the urban ‘West’ and ‘North’ as well as adding a comparative-relational understanding of the contested nature that ‘Southern’ cities are developing. This timely contribution is essential reading for those working in the fields of human geography, urban studies, planning, politics, area studies and sociology. 4. The tale of ethno-political and spatial claims in a contested city: the Muhajir community in Karachi. 6. The politics of doing nothing: exploring subaltern political networks in Kacha-bazaar, Khulna, Bangladesh. 11. The Medellín's Shifting Geopolitics of Informality: The Encircled Garden as a Dispositive of Civil Disenfranchisement? Jonathan Rokem, PhD, is Marie Sklodowska-Curie Research Fellow at the Bartlett School of Architecture, University College London (UCL), UK. His research interests and publications focus on spatial and social critical analysis of cities and regions. Camillo Boano, PhD, is Senior Lecturer at the Bartlett Development Planning Unit and Director of the MSc in Building and Urban Design in Development, UCL, UK. He is author of The Ethics of a Potential Urbanism: Critical Encounters Between Giorgio Agamben and Architecture (2017).